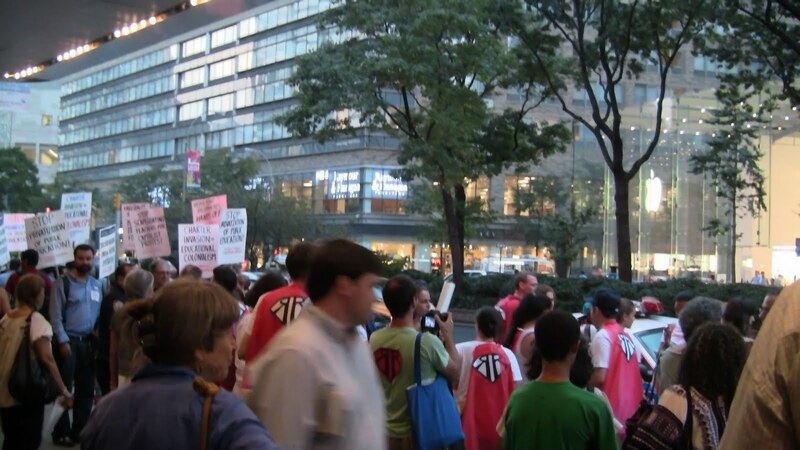 GEM REAL REFORMERS:Smashing Broadway Success! 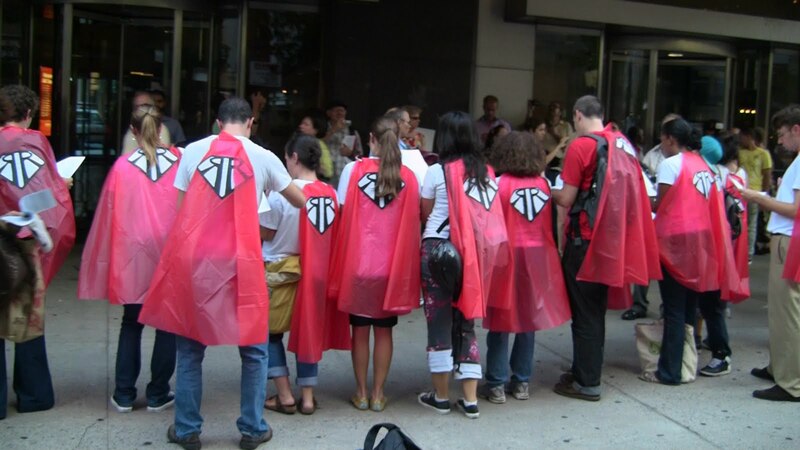 GEM-NYCORE SuperHeroes, The REAL REFORMERS, were a Smashing Success at opening of pro-charter propaganda film, Waiting For Superman, on Broadway. 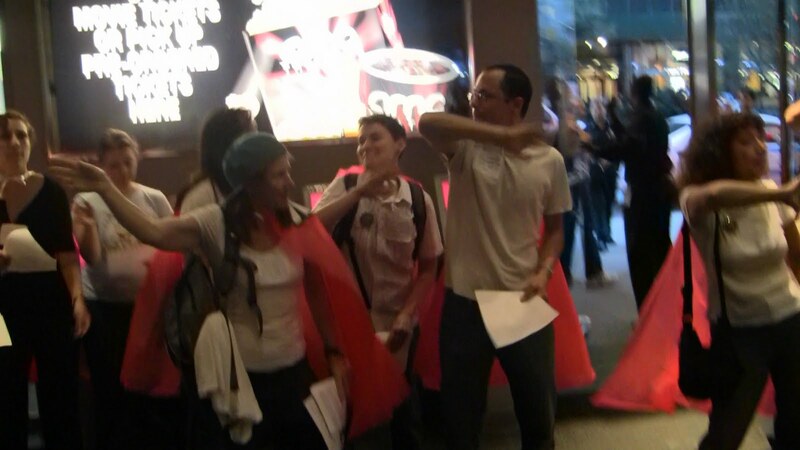 The GEM-NYCORE protesters included a caped-hero-street-theatre troup that rapped lyrics to educate ingoing/outgoing crowds about the film’s pro-privatization, pro-charter fraud. 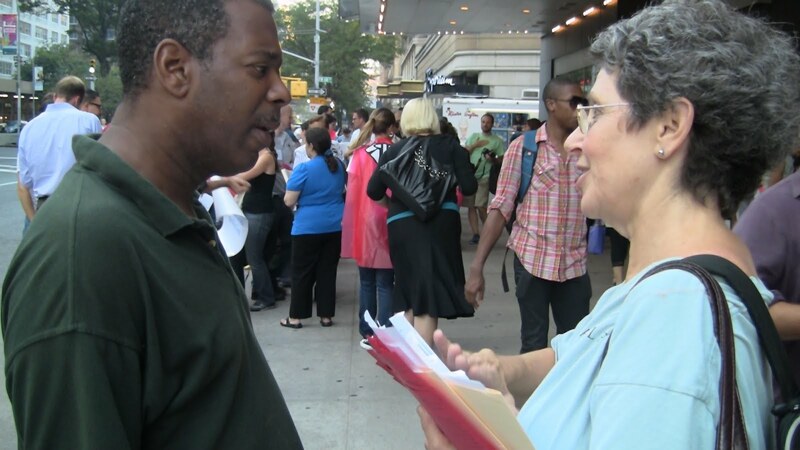 Over 100, including parents, educators, and activists engaged by-passers in dialogue as they distributed the updated GEM brochure, the Truth About Charters. Teachers are not the problem. The Wall Street Corporate-Government alliance to profiteer by privatizing our schools is the big menacing problem that education advocates must confront before it is too late. Keep reading our blogs and join the fightback at our schools and citywide with GEM. Come to GEM’s Sept 28th meeting. This called a true success and every one want to be a part in this.